In a perfect world where everyone destroys everything and eats human flesh, one zombie has had enough: Buck Burger. When he rebels at the natural disorder, his marriage starts deteriorating and a doctor prescribes him an anti-depressant. Buck meets a beautiful green-haired pharmacist fairy named Fairy_26 and quickly becomes a pawn in a cold war between zombies and supernatural creatures. As Fairy_26 flies him between her tree-branch apartment in Fairyland and an aircraft-carrier pirate ship in a zombie-infested dystopia, Buck Burger struggles to make sense of it all and remain faithful to his overbearing wife. Does 16-year-old spiritual leader and pirate Guy Boy Man make an appearance? Of course! Are there mind-controlling albinos? Obviously! Is there hot zombie-on-fairy action? Maybe! Why aren't you reading this yet? 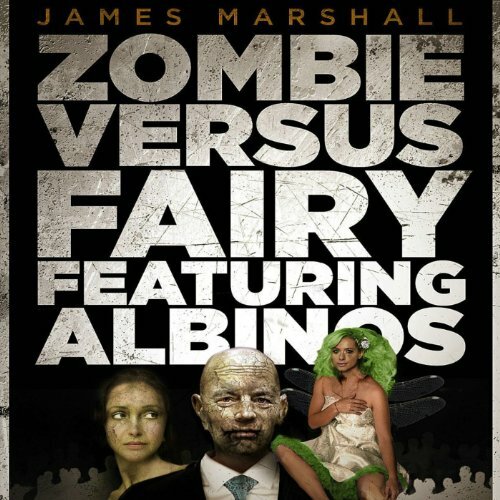 ©2013 James Marshall (P)2013 Audible Inc.